지난 10월 2일 증산도대학교 교육 도공 시간에 “지기금지원위대강”을 힘차게 송주하며 도공을 할 때의 체험 사례입니다. 도공의 절정에 달했을 무렵 눈앞에 영상이 보이기 시작했습니다. 드론이 하늘에서 산맥을 따라 쭉 올라가다가 산맥의 끝에 백두산 천지가 나왔습니다. 한 번도 가보지 못한 백두산 천지가 눈앞에 보여 감탄하고 있는데, 천지 안에서 흰옷을 입은 산신령 같은 분이 나타나서 “이제 지기가 다하였도다! 보라!” 하고 외쳤습니다. 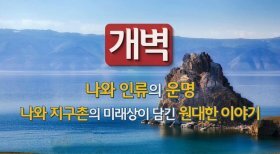 그 순간 영화관의 화면처럼 영상이 펼쳐지기 시작하였습니다. 북한 땅에 큰 지진이 나면서 둥근 돔 형태의 건물이 무너지고 땅이 들썩거리는 모습이 보였습니다. 또 화면이 옆으로 지나가면서 바뀌더니 얼마 전 올림픽이 열렸던 브라질의 명소 리우데자네이루의 모습이 보였습니다. 저 멀리서 해일이 하늘을 덮을 정도의 높이로 밀려오는 모습이 보이더니 물길 속에 빠져 죽는 사람들의 비명과 절규가 들렸습니다. 어린아이가 엄마를 잃고 우는 모습에 저도 같이 울며 도공을 하였습니다. 그리고 산이 우거진 곳에서 화산이 크게 터지는 영상도 보였는데, 그곳은 어디인지 알 수 없었습니다. 그렇게 도공이 끝나고 눈을 떴는데 제 눈에서 하염없이 눈물이 흐르고 있었습니다. 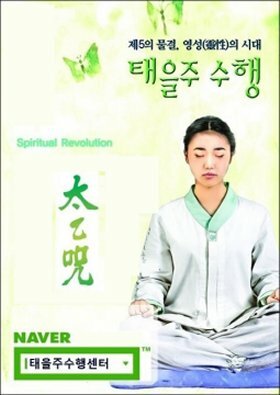 개벽상황을 보고 나니 뛰는 신앙을 하지 않으면 나도 저들과 같이 한순간에 쓰나미나 지진으로 죽을 수 있다는 무서운 생각이 들었습니다. 다시 한 번 일심신앙을 다짐하게 되는 체험이었습니다. 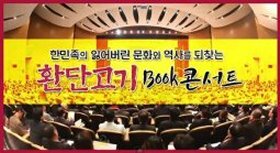 This is an experience I had when I was chanting the “Ji-gi-geum-ji-won-wi-dae-gang” mantra powerfully during dynamic meditation at the Jeung San Do University education session on October 2nd. At that moment, another image started to unfold as if a movie screen. In North Korea an earthquake shook the land and a dome of a building collapsed. The screen moved to the side and then changed into the scene of Rio de Janeiro, the famous city in Brazil where the Olympics were held recently. I saw a tsunami surging and covering the sky, and then heard the screams of people drowning in it. I cried as I performed dynamic meditation while watching wailing children who lost their parents. I also saw large volcanic outbursts in some forested region in the screen, but I couldn’t tell where it was. That was the end of the meditation. When I opened my eyes, they were streaming with tears. It seemed to me that this was a dire warning that I could perish in a tsunami or an earthquake suddenly just like them if I don’t practice the Dao actively. The experience led me to resolve to achieve single-minded faith once again.